Manlift Certification Calgary - The Manlifts and Elevated Platforms course provides training on the rules, regulations and right application of safe operating procedures and work practices included in everyday activities for those who work using this machine. The program has been designed for people who are actively involved in these activities or individuals who have a basic knowledge of this equipment. During the last couple of decades, manlifts and aerial platforms have become a common sight on construction job sites and in industrial maintenance applications. These machinery provide an easy way to lift workers near what needs to be performed on a stable platform apparatus, allowing employees to do tasks with greater safety and comfort rather than being perched on top of scaffolding or ladders. Similar to every other device, manlifts are only safe if they are used correctly. As they lift staff above floor or ground level, accidents can easily happen and this can lead to serious injuries or death for both the operators of the manlift and any passerby who may not be lucky enough to be standing beneath. Manlifts come in a variety of models. Nearly all fit into 1 or 2 categories: the scissor lift, which is capable of moving up and down and the articulating boom lift, which can move both vertically and horizontally. Correct training is very important when it comes to safety matters. 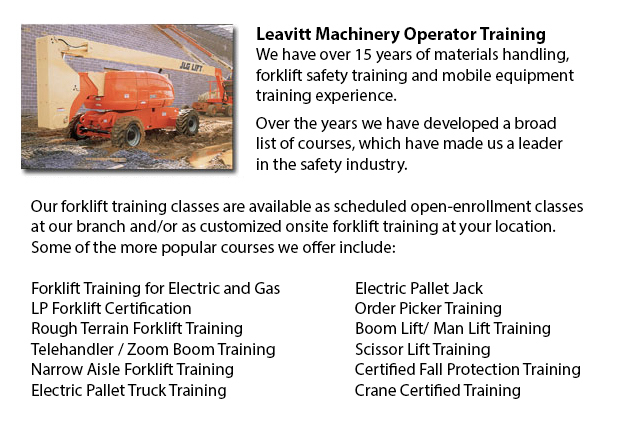 Many of the companies which rent manlifts would offer training at the jobsite. Each worker who will be working on the machinery or operating it must receive training in safe operations. It is likewise important that only those employees who have received training should be authorized to operate the controls. Operating procedures and communication rules must be clear. Therefore, workers on the ground must not operate controls without the approval and knowledge of any staff in the basket. Those employees who would be occupying the basket are required to wear proper fall protection like for example a harness and lanyard. That protection should be connected to the manlift itself and not to a nearby surface. The employee should make sure that she or he has made any adjustments needed to reflect the change in fall distance if the height of the work area changes. Manlifts need to be tested and inspected every day to make certain they are in safe operating condition. Prior to making use of the equipment, any defects must be re-checked and fixed.